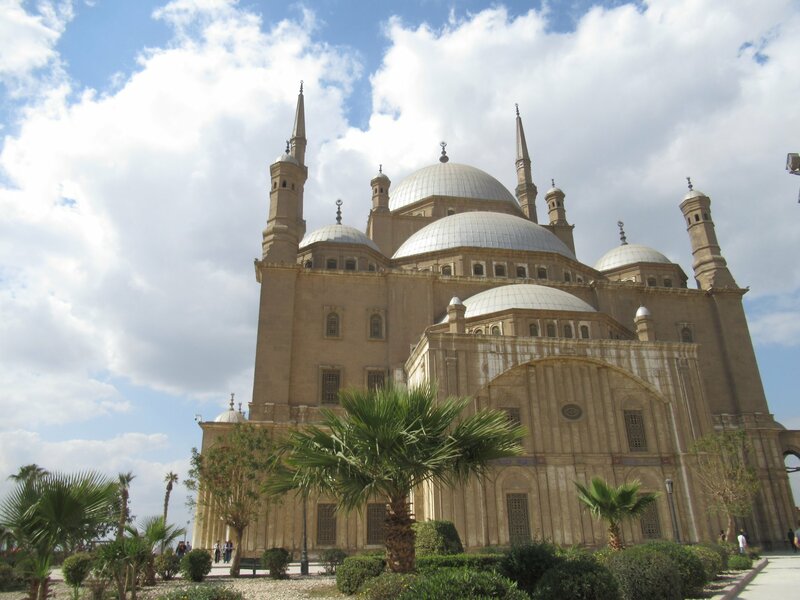 From Hurgada to The Cairo and Guiza – Always Look Back ! After a gorgeous week on a Nile Cruise, we were back to our hotel in Hurgada but didn’t want to leave Egypt without seeing the pyramids! We had the chance to meet a guy in Louxor who booked for us a mini bus with two drivers who have been our guides through this crazy city: The Cairo! 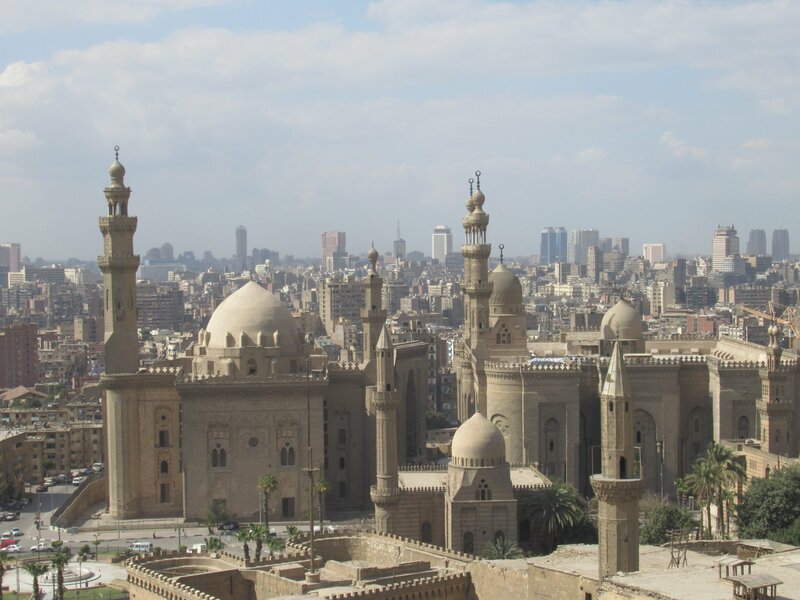 The first day we visited the Egyptian Museum, the Citadel and the Islamic Cairo. 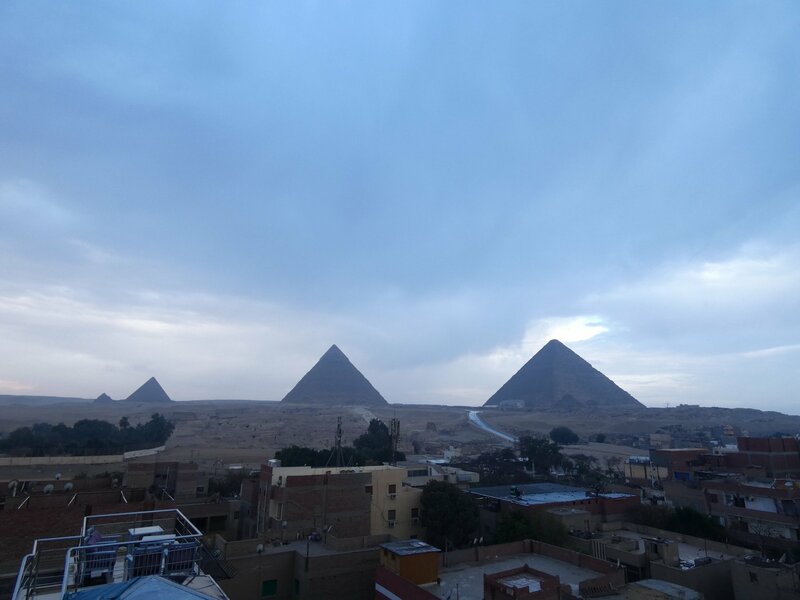 The second day we woke up in Guiza, visited the Pyramids and quickly the Old Cairo. 17 millions of people… That’s a lot, and a city full of trafic! We left Hurgada at 3.30am to arrive around 9. After one hour in the trafic we did a first stop at the Egyptian museum. It was reconstruction but totally worth it. Those rooms are just amazing, and the light from outside entering on those statues, sarcophagus, potteries, jewelleries, frescos, papyrus and hieroglyphs, is just magic! The furnitures made by wood and glass give you the sensation to be stuck in the past, when the archeologists discovered all those treasures. Talking about treasures you also have the ones of Tutankhamen! The only thing I didn’t like was the Mommy part. You pay an extra fee to see corpses of kings and queens who built giants graves to finally finish in a museum… And if you want to see mummies you have some in the general exhibition anyway. After that nice visit, we asked our drivers to leave us to the Saladin Citadel, one of the highest point of the city where you have several museums and Mohamed Ali’s mosque you can visit. We didn’t have a lot of time, so we just walked around and enjoy the nice view from there. We wanted to cross it and walk directly to the islamic part of Cairo, but the way was closed so we took a small cab for 6 and went around El Azhar mosque, in the heart of this magic area. Small streets, lot of Corans to buy, and smiles to share! We split our group, ones have been to a Derwish dance show and we went to Khân al-Khalili with my mom to buy so,e stuff and enjoy a time in a very local « cafe » smoking water pipe and drinking a coffee. All the prices are negociable, usually when they anounce you a price you can devide by 2! 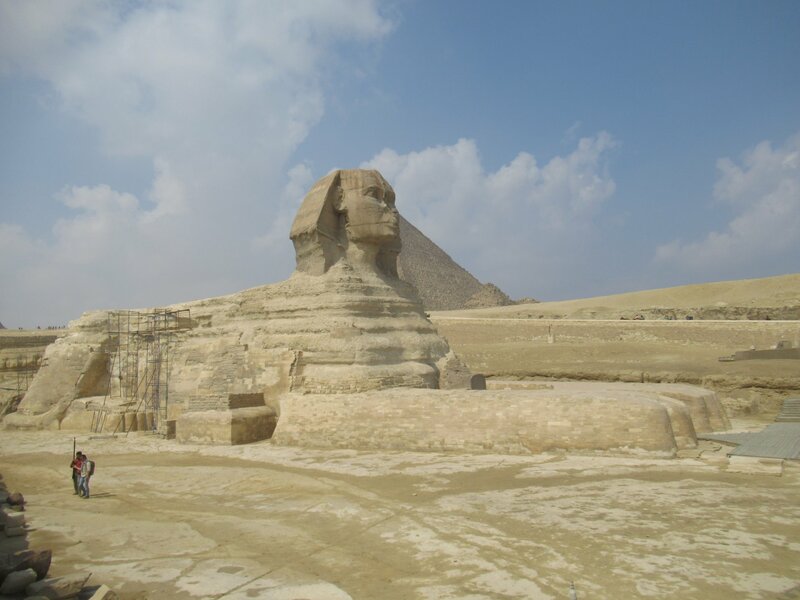 So after this view point they lead us to the Sphinx where our mini bus was waiting for us. Visit duration: 2h minimum, including 1h riding! We had only 1h to visit the Old Cairo, it’s really to short! We just had time to enter to the small labyrinth you can access from Mar Girgis’ street and visit quickly the Church of St George and its shrine, Saint Barbara, Saint Virgin Mary’s Churches, and Ben Ezra Synagogue. 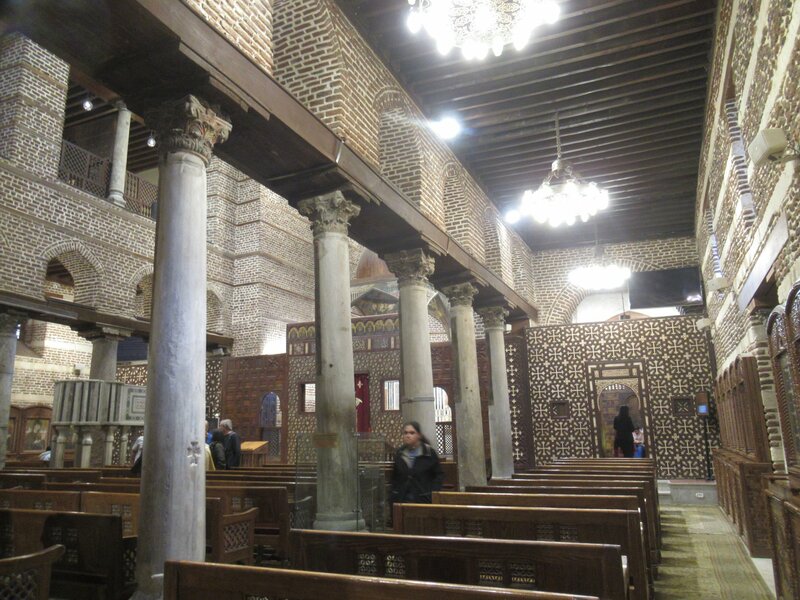 We didn’t have time to visit the Coptic Museum or the Babylon Fortress, but we quickly saw the Hanging Church. Everything was free and really gorgeous, those orthodox buildings are so diferent than ours… I think you can spend much more time there to fully enjoy this old Cairo. 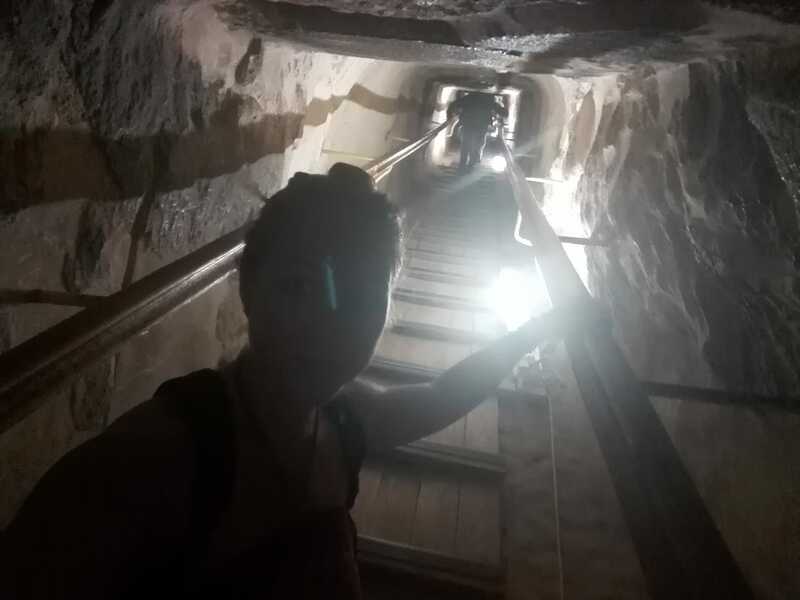 I really loved my trip in Egypt, even if I didn’t really felt free to go where I wanted… Cairo wasn’t part of the plan but I think we did pretty well, but I would love to go back there and take my time to fully visit this crazy city (maybe using transports instead of taxi because of the trafic…). 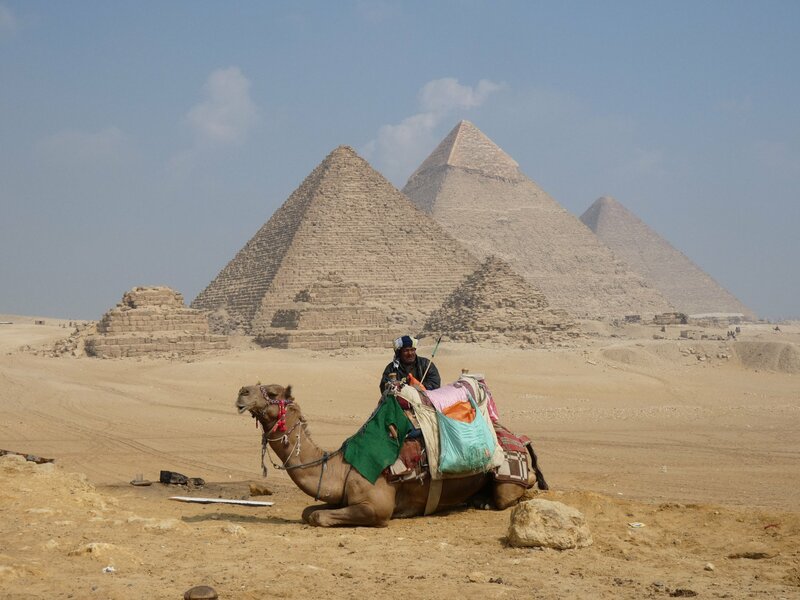 Also I would like to go back to Egypt and visit Dashour pyramids and the one of Saqqarah, close to Memphis.